Every once in a while a novelist surfaces on the literary landscape from a bookishly dormant and reclusive country, whose literature has been ignored and underrepresented in the Western literary consciousness for far too long, and takes the entire book world by storm. Chimamanda Ngozie Adichie from Nigeria, Han Kang from South Korea, Yuri Herrera from Mexico, Aminatta Forna from Sierra Leon and Porochista Khakpour from Iran are a just a few contemporary examples. 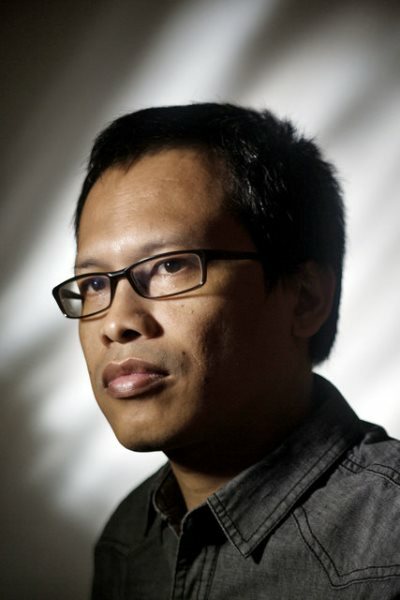 And now, Eka Kurniawan, a young and precocious Indonesian novelist, is a thrilling new discovery and an exciting addition to the list. In Kurniawan, Indonesia has, at last, found its literary voice. 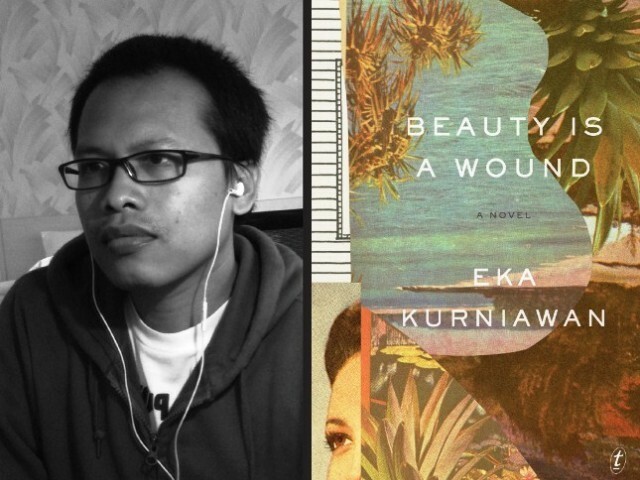 Eka Kurniawan’s incandescent and sprawling first novel, Beauty Is a Wound, has already elicited comparisons to the work of Garcia Marquez and Salman Rushdie. And often when such lofty and rave comparisons are drawn, the literary merit and unique authorial voice is often obscured and gets buried underneath the praise. However, fortunately so, in the case of Eka Kurniawan, this doesn’t happen; his voice is so irresistibly unique and his book so incredibly memorable that, though, he doesn’t quite triumph, he outplays the odds. 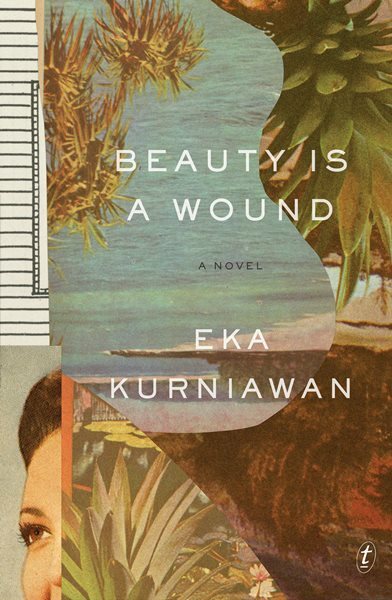 Beauty is a Wound is an expansive and riveting novel that recounts the socio-political history of Indonesia against a tapestry of a troubled family life. The book merges family saga, national history and fantasy. It is hobbled with Indonesia’s troubled past, it explores the sufferings of a prostitute’s family and it is studded with supernatural occurrences. In this obliquely crafted book, the characters live on history’s edges and against all odds they struggle to quench their boisterous, untameable and often unappeasable desires. At the center of this book are two characters: Dewi Ayu, a prostitute who awakens from her grave after being dead for 21 years, and Beauty, her ferociously ugly and youngest daughter. Dewi Ayu, a privileged daughter of Dutch merchants lives a happy life in Halimunda till the time World War II arrives and the Dutch are either slaughtered or forced to flee and Dewi Ayu is taken to a Japanese internment camp reserved for Dutch colonist. There she learns a magical lesson: her body can be both, a weapon and a gift. Hence, she submits to Halimunda’s vicious demands and becomes a prostitute, which at the time is the only paying job for women. Eventually, she gives birth to three stunning daughters who go on to marry rich men of the town. And then there is Beauty, her youngest and ugliest daughter, as repulsive as faeces. Beauty is a Wound is not merely a skillful odyssey through the realms of magical realism. Kurniawan traverses through the perilous landscape of Halimunda to show us, as García Márquez did through his Macondo and Faulkner did through Yoknapatawpha County – that tumultuous storms of historic and political upheaval can seize, swivel and sometimes devastate people. But, like a masterful storyteller, he does not only tread the terrain of the turbulent past of Indonesia and its despotic rulers, but also of the Japanese occupation and Suharto’s vicious war against the socialists. With sly humour and skillful satire, he presents these political twists and turns through the eyes of his characters. He tells us what his characters feel, what they do and how they do it. He merges the real and unreal with such adroit fastidiousness that by the end, the book seems extraordinarily matter-of-fact. The supernatural events in this book occur as casually as talking, eating and sleeping. Some of Kurniawan’s characters come back from the dead, fly and disappear as effortlessly as others defecate, make love or cry. Over the course of its length, the book thickens like soup. Its bold, daring and audacious writer throws everything at it; and for all its gruesome, nasty, repulsive, striking and gripping subject matter, the book survives it all. In the hands of a less talented writer it is the sort of a book that might have seemed cloyingly overdone and colossally over-the-top, but as rendered by Kurniawan, it possesses the conspicuous and haunting power of an epic. It is a testament to his elegiac literary acumen, emotional wisdom and proficient artistry as a writer. In chronicling multiple decades of Dewi Ayu’s life, Kurniawan has not only given us a brilliantly intimate and evocative family portrait but he has also cauterized the intertwining, potent and laden themes of politics, history, sexuality, wounds and grievances and has orchestrated them into a symphonic work, a debut novel as assured and powerful as the work of a longtime master of the craft. Kurniawan’s bold and dazzling debut is that rare thing, a deeply personal and minutely observed family saga that smoothly unfurls to unveil a voluminous social vision. It is a stunningly accomplished novel that announces the arrival of an irresistible and wonderfully unique voice in world literature. One that is so eloquent and confident that while reading this book the reader easily forgets that Beauty is a Wound is a young writer’s first book, a debut as tactile as it is moving, as thrilling as it is disturbing. Can Eka Kurniawan’s magic realism outdo the works of Garcia Marquez and Salman Rushdie?